Janne Larsson, an investigator and reporter in Sweden, has obtained information about adverse event reports on Eli Lilly's ADHD drug Strattera, using the Swedish freedom of information laws. 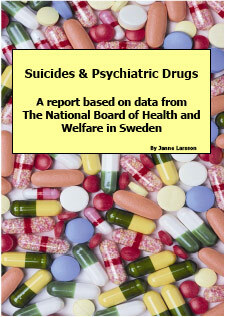 The data, coming from both the FDA's adverse reaction database and from reports to the UK's Medicines agency, shows numerous adverse effects and scores of deaths by suicide. Yet the agency, even after repeated prodding by Larsson to initiate action, has refused to budge or even acknowledge that there is a problem. MHRA apparently accepts the drug's producer Eli Lilly's data rather than its own and the FDA's adverse event reports. MHRA has ignored data about instances of death among children in connection with Strattera treatment. At least 41 children have died. The agency has not investigated the reported cases and does not even have a compiled summary of cases with fatal outcome. Further the agency has allowed the manufacturer Eli Lilly to give false information about the number of fatal cases and has taken no action against the company once the false information was revealed. MHRA has for almost three years been in possession of data proving that Strattera can cause agitation, mania and psychotic reactions with hallucinations among children. Yet no warning has been issued to doctors and parents. The agency has withheld these disastrous consequences despite clear evidence. Due to bureaucratic procedures no warnings have been issued even if Eli Lilly reluctanly conceded to include these harmful reactions in its information to the public almost a year ago. MHRA has for almost three years been in possession of data showing that Strattera in many cases actually can cause or worsen the “condition” it is claimed to alleviate. More than 700 reports were submitted to the manufacturer, Eli Lilly, about Strattera inducing “psychomotor hyperactivity”. Lilly called this an exacerbation of the “underlying ADHD”. If we would apply this to the area of real medicine and to diabetes we could say that the patient got a diabetes medication with resulting heavy increase in blood sugar level. Such a medication would probably be withdrawn very fast from the market. But the MHRA has not yet, after three years, succeeded to get even a bad quality review of these cases done – not even from the manufacturer. Note that the linked documents (within letters described below) in most cases could not be obtained in UK where the issuance of them would be deemed as prejudicing “the ability of the Assessory body to offer impartial advice” and where the MHRA wants “to allow marketing authorisation holders the chance to respond to regulatory action and make commercial decisions before data are in the public domain.” (MHRA, e-mail about FOIA-request, 29th September, 2006). However the documents could be obtained in Sweden, even if the MHRA has tried to stop the issuance of them by implying that publication could threaten the relations between Sweden and UK. In May I submitted detailed data about cases of Strattera death to the MHRA. 1st October I finally got an answer from the Scientific Assessor of the Vigilance and Risk Management of Medicines (VRMM). 7th October I got an answer from Professor Kent Woods, CEO of the MHRA, referring to the letter sent by the Scientific Assessor. The answer from the Scientific Assessor shows that MHRA is continuing to ignore data about instances of death among children and adults in connection with Strattera treatment. Despite limited resources and having to rely on data released by reluctant medical agencies I had been able to produce a summary of reported cases of Strattera death. That’s much more than the MHRA, with its immense resources, had been able to do. The agency was provided with specific data about instances of death forming an excellent starting point for a full investigation. But instead of using the data the MHRA used its energy to explain why it is impossible to investigate these cases further, and in doing so presents some remarkable comments. I must add to all the data provided in my letter 15th May that the “source” of the information about fatal cases is FDA’s Medwatch system and the PSURs (submitted directly to the MHRA). I must make it clear that is very easy for a lay person to find out that almost all reports about fatal outcome from Strattera treatment submitted to the FDA came from Eli Lilly! Thus the “source” of the information about fatal cases was in most of the cases the manufacturer itself – Eli Lilly. And yet the MHRA has not been able to verify the “source or accuracy” of the information. The MHRA Scientific Assessor states in the letter: “The sources of data that regulators use such as company data, spontaneous adverse reaction reports and literature are set out in European and national law.” That’s very good and now we know that the data I submitted to the MHRA about all fatal cases from Strattera treatment – in the absolute majority of cases – were known by and reported via the manufacturer Eli Lilly. In other words the MHRA didn’t have a compiled summary of cases with fatal outcome in August – and the agency has not to this point been able to compile such a summary. As the agency has not been capable of getting the data – or not even been capable of using the specific data submitted for its use in a full investigation – NO action is taken despite the many verified deaths among children in connection with Strattera treatment. This disregard for the safety of children is a scandal which should lead to a full formal investigation by the Department of Health. I’ve been contacted by parents asking if Strattera can induce mania and psychosis with hallucinations. Their children have had such symptoms. The parents have not found any warnings about it and their children’s doctors don’t think that the symptoms are caused by the drug. The parents were desperate. However the MHRA has known for almost three years that Strattera can cause agitation, mania and psychotic reactions with hallucinations among children, but has refused to issue warnings about it. This means that in the period ending 26th November, 2005 – at the time when Strattera was approved only in UK and four other European countries, but not in the 22 additional European countries where it is now approved – Eli Lilly and the MHRA had knowledge about these disastrous effects in children taking Strattera. But neither the MHRA nor Eli Lilly told anything about it and Strattera was approved in 20 additional European countries in April 2006. In their 3rd March, 2006 report Psychiatric Adverse Events Associated with Drug Treatment of ADHD: Review of Postmarketing Safety Data , the FDA stated that there was “compelling evidence for a likely causal association between … [Strattera/amphetamine drugs] and treatment emergent onset of signs and/or symptoms of psychosis or mania, notably hallucinations, in some patients.” (p. 17) 360 reports about the drug inducing these effects had been received up to June 2005. From this FDA report the MHRA had knowledge about the “compelling evidence” for Strattera causing these effects on or about 3rd March, 2006 – but did nothing. In August the same year (2006) the MHRA requested the same data set from Eli Lilly that was submitted to the FDA and which formed the basis of the FDA report for Strattera. The data was sent to the MHRA some days later. But the agency then decided not to do anything with the information. Instead it was decided that Eli Lilly – the manufacturer – should do an analysis of the data and submit its conclusions to the agency. At the end of 2007/beginning 2008 Eli Lilly submitted its review of Strattera induced agitation, mania and psychosis with hallucinations to the MHRA. It was a complete whitewash. In summary: FDA was very clear about the psychosis-inducing effects of Strattera; the MHRA did not listen. Instead the MHRA turned to the manufacturer. Eli Lilly tried to explain away all the bad results found in its review. For the full history about MHRA’s failure in this area and for a comparison of the FDA report with the Lilly report, please see the following letter: The ADHD drug Strattera – actions needed now  from January 2008, and the letter The ADHD drug Strattera – an analysis of reports of drug induced mania, psychosis and hallucinations  from March 2008. And so we come to October 2008 and the letters from Professor Kent Woods and from the Scientific Assessor for Strattera. We are “reassured that the MHRA is acting … to ensure that Strattera is used … as safely as possible”, that “all safety concerns are subject to robust scientific assessment and the best possible regulatory action”, that “any new safety signals are evaluated in an independent, scientifically robust manner” (Woods); we are told that “discussions between European Member States and Eli Lilly are ongoing to agree on the most appropriate information to be included in the product information for patients and prescribers”; we are told to be patient, to understand that it takes time from the point where “updates have been agreed for inclusion in the product information” to the point where these will “appear in the packs in the market place due to movement of stock in the supply chain”, and that the appearances are estimated to be “within the next 6 months” (Scientific Assessor). It is probably hard to find a more obvious violation of the promise “… we take any necessary action to protect the public promptly if there is a problem” than the case described above. The worried parents still have no answers if Strattera can induce the symptoms they find in their children. And the MHRA knew about it three years ago – but withheld the data. This should be included in the investigation of the agency by the Department of Health. In my earlier letter to the Department of Health (29th August) I took up the data about the “700 forgotten cases of hyperactivity”. I referred to my letter 2nd January to the MHRA  and gave data about the fact that Eli Lilly had withheld sensitive information and classified harmful effects as an “exacerbation of the underlying ADHD”. The MHRA got this “safety signal” almost three years ago – and is still in the process of getting some sensible answers from Eli Lilly. I again request the Department of Health to take action. This does not concern “only” the children in UK; it concerns the children in the whole of Europe, indeed it concerns all the children of the world. The failure of the agency will also mean that psychiatrists within The Guideline Development Group in NICE can push through more “treatment” with Strattera and other ADHD drugs. The MHRA is withholding the clear evidence for harmful effects and the psychiatrists with close relations to the manufacturers of the drugs can unimpeded recommend these “medicines” to unsuspecting doctors and parents. The answers given by Professor Kent Woods and the Scientific Assessor did not in any way handle my concerns. On the contrary, they finally proved that a full formal investigation of the matters raised above is needed. 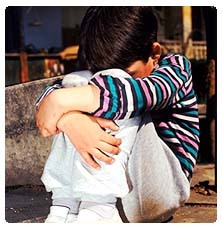 FDA, Psychiatric Adverse Events Associated with Drug Treatment of ADHD: Review of Postmarketing Safety Data, released March 3, 2006. 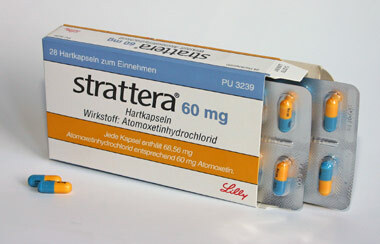 The manufacturer, Eli Lilly, has now changed the label for Strattera in Europe to include warnings that Strattera CAUSES "hallucinations, delusional thinking, mania or agitation in children and adolescents without a prior history of psychotic illness or mania � at usual doses".